We can install wire, melamine and wooden shelves that can be used in 1 or 2-door cabinets. 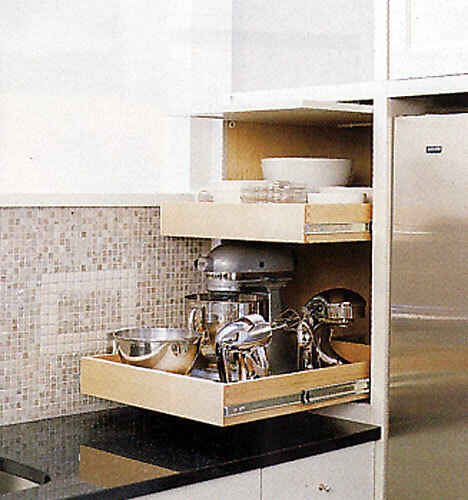 We can also add pot and pan drawers for ease of storage and increased space. We can add function to your lower cabinets with our custom kitchen refacing ideas.